‘Tis the season to be gluttonous. With most yuletide festivities focusing firmly on food, all eyes are on the dining room. But having visited those of various glamorous friend’s homes during the drinks party season and partaken of a few too many M&S nibbles – after a while it really is just a filo wrapped prawn – you may find yourself wishing the foodie focal point of your own home had a bit more oomph to it. Which is why this week we’re bringing you our top dining room ideas to ‘spruce’ up the room at the centre of your celebrations. White out – it may seem counterintuitive, but stripping the colour from a dining room can give it some serious impact. 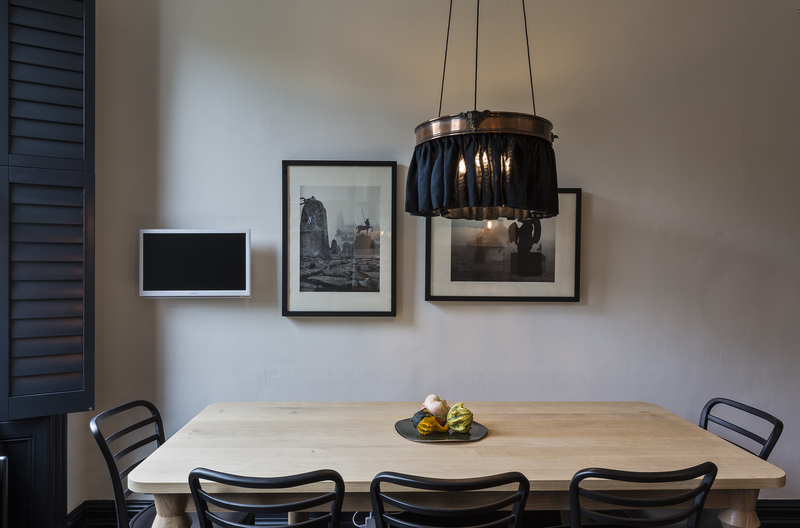 For the design above we decided to go monochrome, accentuated with sculptural dining room chairs and elegant pendant lights. Calm and casual – foodies take note: a relaxed dining setting will keep all eyes focused on what’s being served. We chose black accents to keep this understated dining room design strong and eye-catching. Don’t be fooled though, an understated dining room requires careful furniture choices. The simpler the room, the greater the need for excellent quality and craftsmanship. 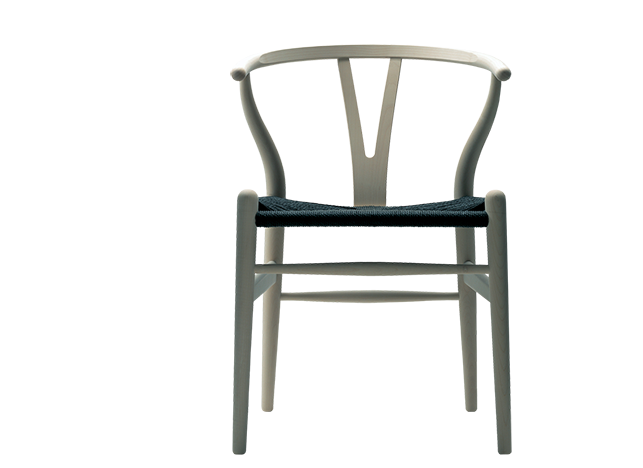 We love these wishbone dining room chairs by Hans J Wegner for their deceptive simplicity and beautiful detailing. 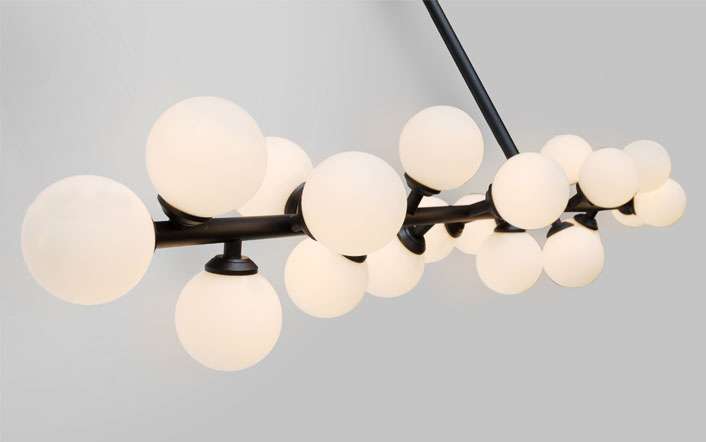 Bring the drama – if monochrome is a little staid for your tastes, we suggest a bold pendant light. For this dining room design we let a large cascading glass chandelier do the talking, using simple dining room chairs in a luxe leather finish and some attention grabbing artwork to pull the room together. 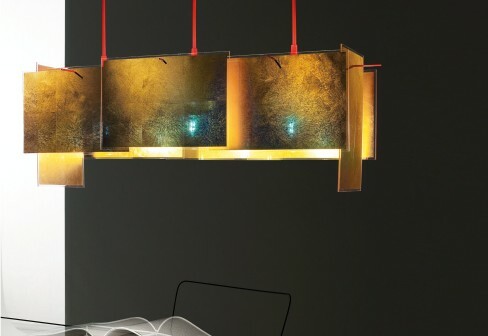 We also love this 24 Karat Blau light by Indigo Maurer (above), which works brilliantly in both contemporary and traditional dining rooms, and this Bulb Arm Pendant light by Atelier Areti for a minimalist showstopper.